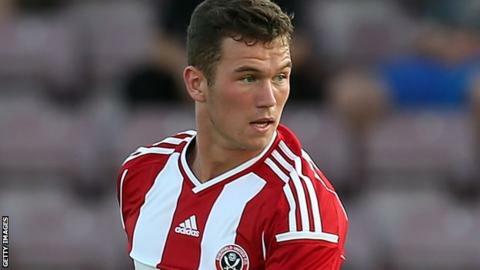 League Two side Tranmere have signed defender Harrison McGahey on a youth loan from Sheffield United until the end of the season. The 19-year-old joined the Blades last summer from Blackpool and has made 22 appearances this season. "Harrison is a versatile right-sided defender and we look forward to welcoming him to the club," boss Micky Adams told the club website. He is available for Rovers' game at York City on Saturday.